For many students headed to college, higher education would not be possible without student loans. 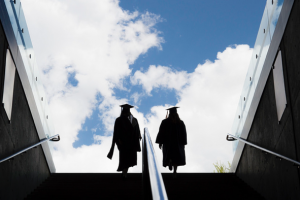 Starting out your adult life after college saddled with $40,000 of debt can be daunting. If you understand how they work, though, they’re easier to handle. Here are a few things the average student or graduate may not realize about student loans. You are in school at least half time. You attended school within the last six months. You have applied for a period of deferment, which postpones your loan payments. Unsubsidized payments are offered regardless of financial need. Interest begins to accrue on these from the date of issue, although you can elect to not pay this interest until you finish school. In that case, the interest will be added to the principal. Private student loans are available as well and might be a better option depending on your credit rating and circumstances. Regardless of the type of loan, payments will begin six months after your graduation. If you don’t need the entire amount of a federal subsidized or unsubsidized loan you are offered, you can take less. Perhaps your living expenses will be lower than you projected, or you have secured another type of funding. In this case, you may contact the financial aid office at your college to request a lower loan amount. When it’s time to make payments, you can sign up to have them automatically debited from your bank account. Doing this will immediately give you a discount of 0.25 percentage points on your federal student loan’s interest rate. While this may not seem like a big break, it can add up to hundreds of dollars over the life of the loan. Private lenders usually offer a rate reduction for auto-pay, too. Graduates who owe over $30,000 in federal student loan debt may be eligible for an extended repayment plan. This can lengthen your loan term up to 25 years, lowering the amount due each month. Also, if you meet income eligibility requirements, which vary depending on your family size, you may have your monthly payments reduced as low as zero. You can find out more information about this program, as well as apply for payment reduction, at the U.S. Department of Education’s Federal Student Aid website. A student’s transition from high school to college can be a hectic time with many things to keep track of, but taking the time to understand the student loan process can have a big impact on the next several years of your life. Get it straight, and you can focus on more important things like your grades and your new career.